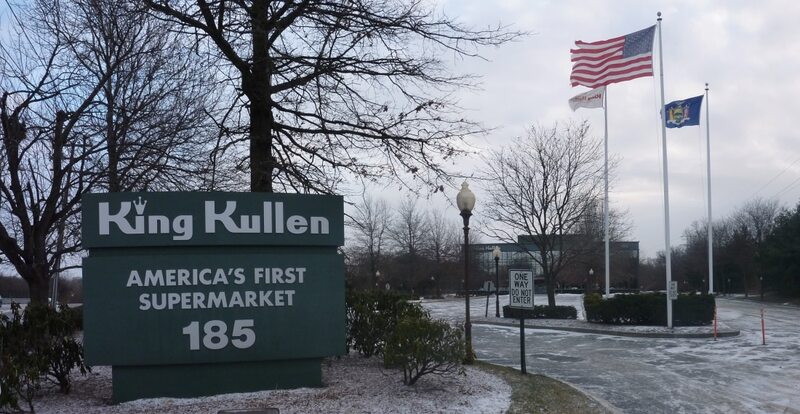 Manhasset’s King Kullen will soon become a part of Ahold Delhaize USA’s Stop & Shop chain. The grocer plans to buy the Long Island-based supermarket chain King Kullen Grocery Co. Inc. in the first quarter of 2019. Financial terms of the transaction have not been disclosed. Stop & Shop stated that the deal includes 32 King Kullen stores, five Wild by Nature natural/organic supermarkets and the King Kullen corporate office in Bethpage. Ahold Delhaize is a Dutch retail company operating supermarkets and e-commerce businesses. Ahold Delhaize was formed in July 2016 from the merger of Ahold and Delhaize Group. Delhaize Group dates back to 1867, when the Delhaize brothers opened a wholesale grocery business in Charleroi, Belgium. Ahold traces its roots back to 1887, when Albert Heijn opened hi first store in the Dutch town of Oostzaan. The corporation has presence in Indonesia, Belgium, Czech Republic, Germany, Greece, Luxembourg, Netherlands, Portugal, Romania, Serbia and the United States. In November 2018, the company commenced a one billion share buyback program to maintain a balanced approach between funding growth in key channels and returning excess liquidity to its shareholders. In 2018, the company experienced significant growth in the United States, Netherlands and online. In the United States, Ahold Delahaize owns brands Food Lion, Giant Martins, Giant Food, Hannaford, Peapod and Stop & Shop. Stop & Shop currently has 51 locations on Long Island and will absorb King Kullen’s 32 supermarkets and five Wild by Nature stores. Opened in 1930 by Michael J. Cullen, the family-owned supermarket marketed itself as “America’s First Supermarket” and is recognized by the Smithsonian Institute as such. In 1995, King Kullen opened Wild by Nature, an independent subsidiary. Wild by Nature is a grocery store marketed as selling wholesome, natural product has five locations, including Setauket, Huntington, Hampton Bays, Oceanside and West Islip. King Kullen has locations in Bay Shore, Bellmore, Bethpage, Blue Point, Bridgehampton, Center Moriches, Cutchogue, Eastport, Franklin Square, Garden City Park, Glen Cove, Halesite, Hampton Bays, Hewlett, Huntington Station, Island Park, Lake Ronkonkoma, Levittown, Lindenhurst, Manhasset, Manorville, Massapequa Park, Middle Island, Mt. Sinai, North Babylon, North Patchogue, Rockville Centre, Shirley, St. James, Valley Stream, Wading River and Wantagh. At present, it is not known whether the King Kullen name will remain on the stores or if they will be renamed as Stop & Shop.